Merry Christmas - my first new Christmas card for this year. 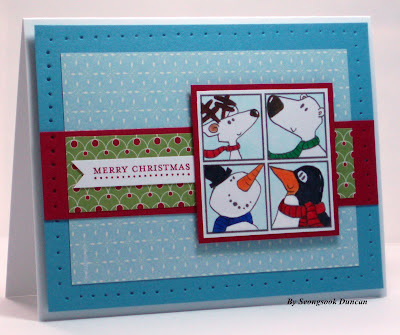 Last Thursday, on the OWH TV show, Sandy mentioned that we need to start making Christmas cards. Sounds great! When I first saw this block of digi stmaps, I thought it would make a perfect card with OWH Sketch #175. I colored them with Copic markers. Designer papers are from SU - Festival of prints dsp paper stack. This is sized 4-1/2"x6-1/2". I cut it in half to make two pieces of 4-1/2"x3-1/4". I cut it to make two pieces of 4-1/2"x1-1/8" and one piece of 4-1/2"x1". I flipped over the middle one piece of 4-1/2"x1" and layered on top of real red cardstock of 5-1/4"x1-1/4". 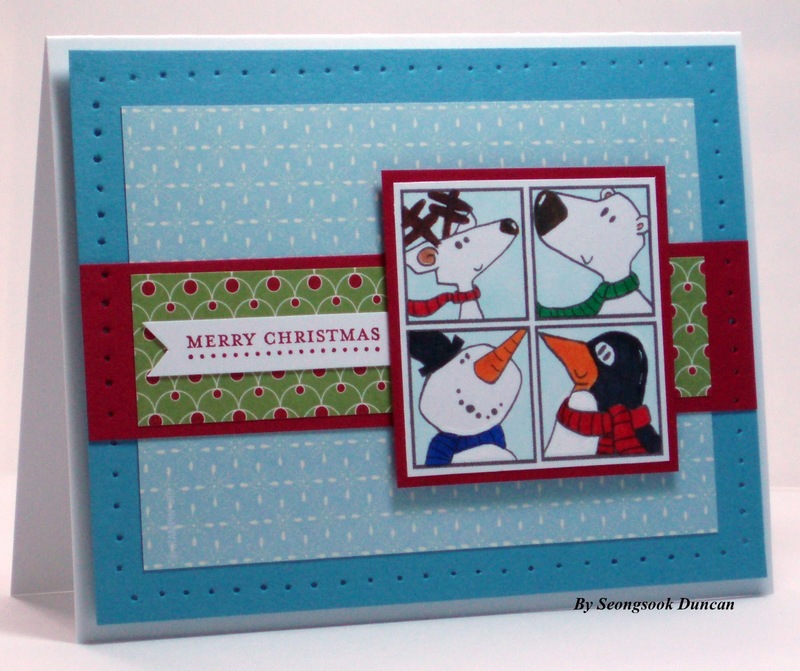 It is easy to make two cards and coordinate colors based on the dsp colors.